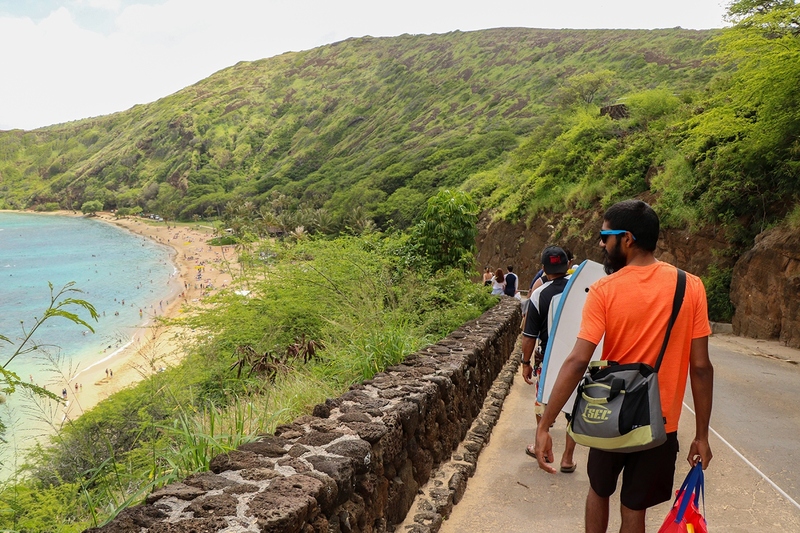 Maira and I had the awesome opportunity to join Paul and Doug on their North Shore tour last Wednesday. 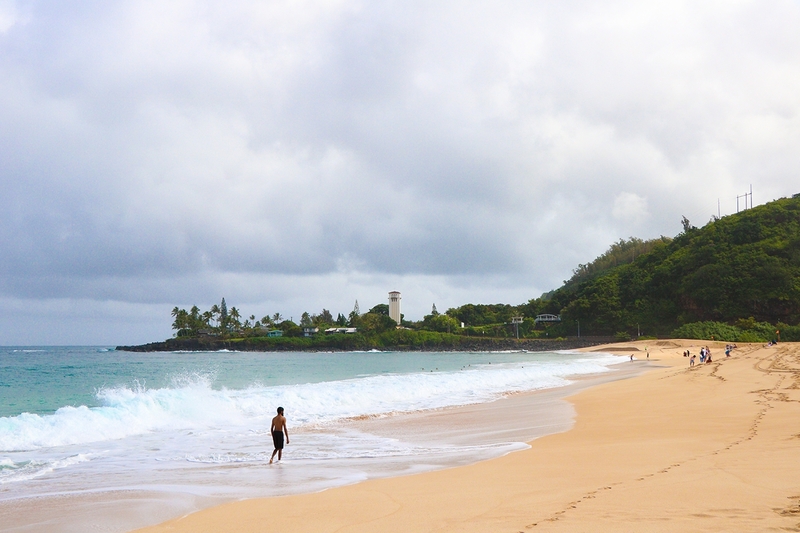 If you’re not familiar with the North Shore Beach Bus, you should be: these guys provide the premier tour of the North Shore of Oahu, including multiple awesome beaches, a fun day paddling down a river, snorkeling at the famous Hanauma Bay, and even a short stop at Dole Plantation! This full-day tour has everything, and goes well beyond your standard sightseeing fare! The tour began with me and Maira getting picked up in Waikiki, along with all the other travelers that would be joining Paul and Doug on the tour. The van was fairly spacious, able to fit over a dozen people comfortably along with all our stuff for a full-day tour. Paul drove while Doug kept us engaged on the long drive from Waikiki to the North Shore. It was refreshing to have a guide be just a guide instead of dividing their attention between the road and their visitors. 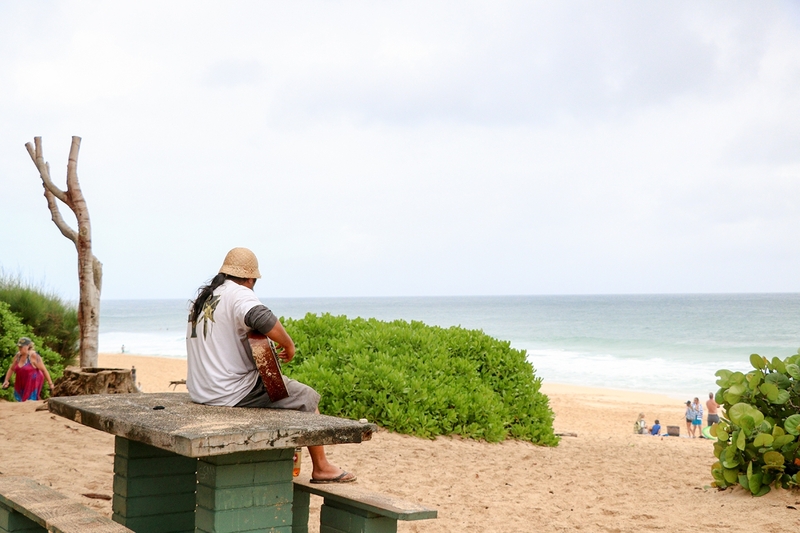 Our first stop on the tour was the Sunset Beach and Banzai Pipeline. 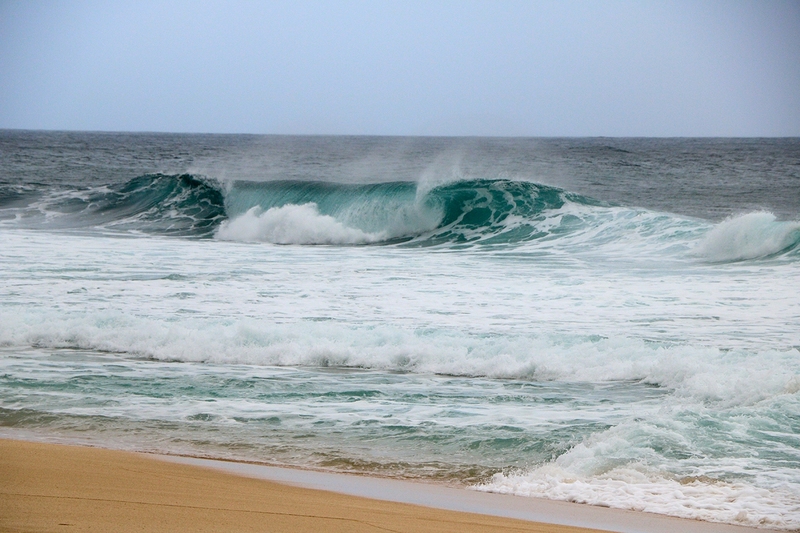 Since it’s the end of winter, the waves weren’t as large as they were back in December, when the annual Pipeline Master’s competition was held at the nearby Banzai Pipeline. 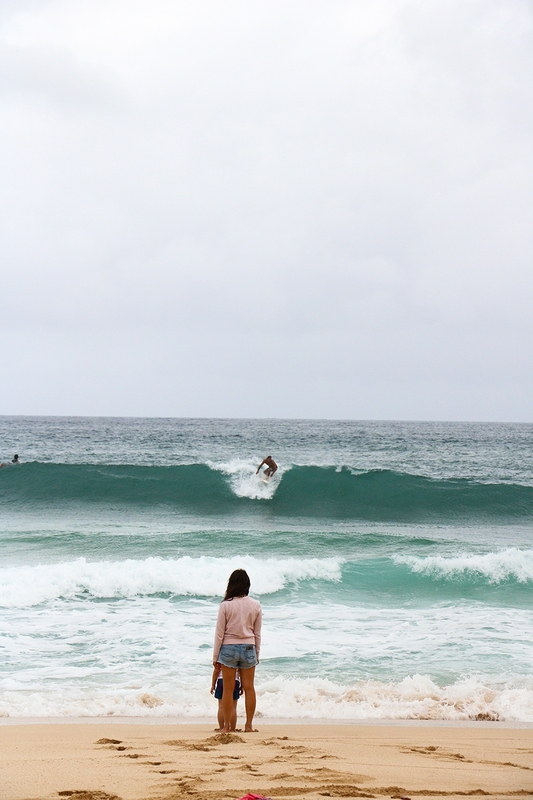 The beach wasn’t busy at all, but there was a handful of people out in the water surfing and bodyboarding. The weather wasn’t great when we got to the beach, with a white blanket of cloud blocking the sun for us. Still, it was nice to just be able to stand on the soft, fine sand and watch the waves come in, with or without a rider. 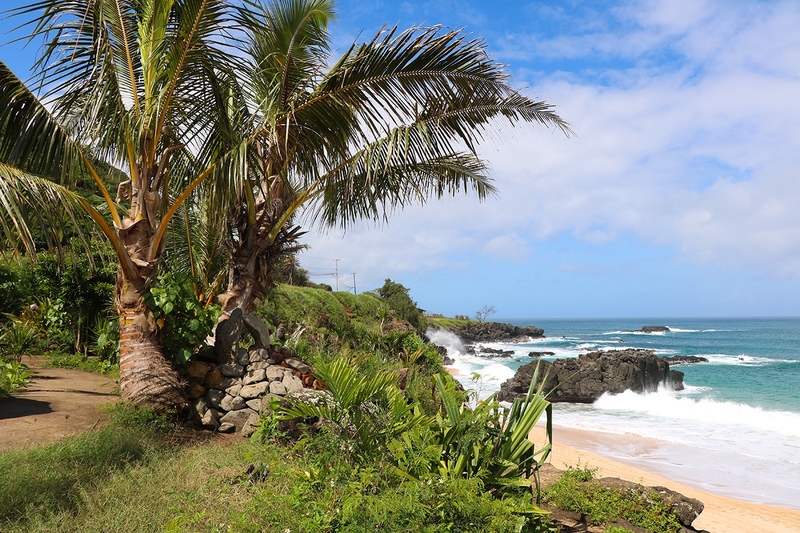 Our next stop was at Waimea Bay, a famous beach located near the just-as-famous Waimea Valley. 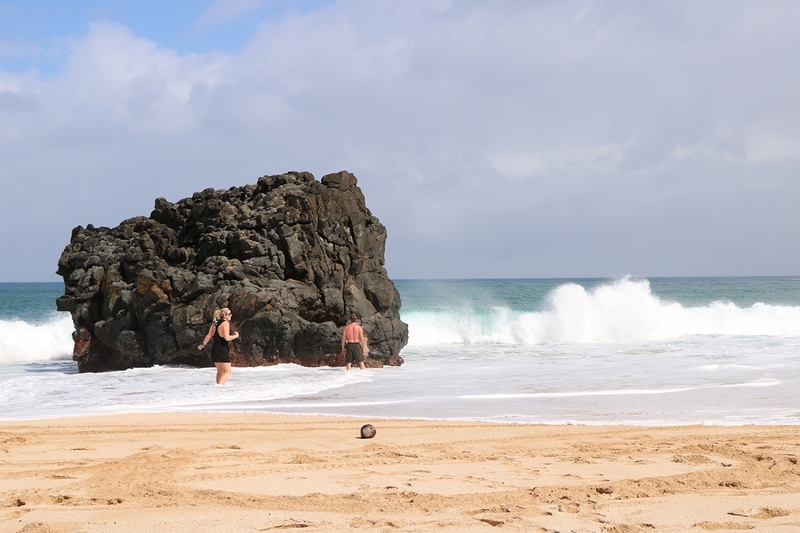 The most prominent feature of the bay is its “jumping rock,” a large rock that sits on the beach that serves as a diving board for beachgoers. Today, the waves were coming in a little too strong for it to be safe to jump, but just strong enough to try my hand at bodysurfing. Spoiler alert: I wiped out. 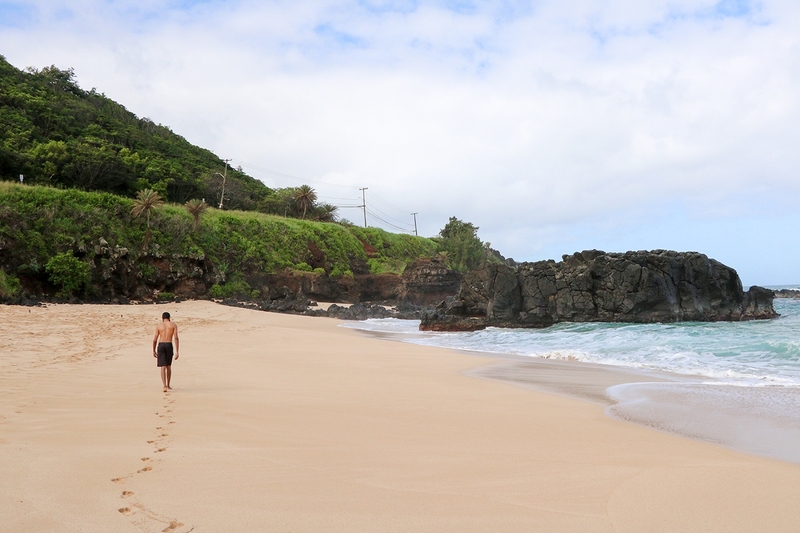 Thankfully, though, the sun came up just as we arrived at Waimea Bay, making it a really nice day to be on the sand. Having decided to conserve my energy (and dignity) for the rest of the day, I got out of the water and explored the beach. 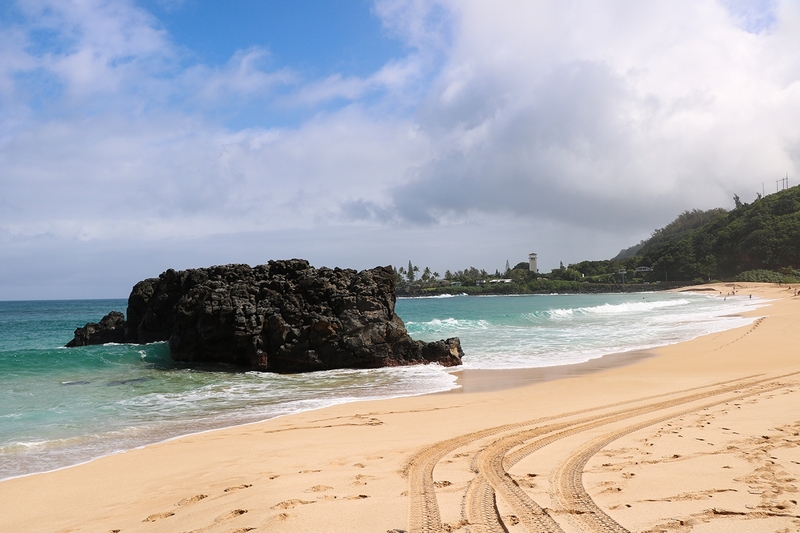 Despite being a longtime Oahu resident, I hadn’t been to Waimea Bay before—in fact, I rarely drive up to the North Shore. The tour can optionally go into Waimea Valley to visit the waterfall, but nobody in our party opted to do so. 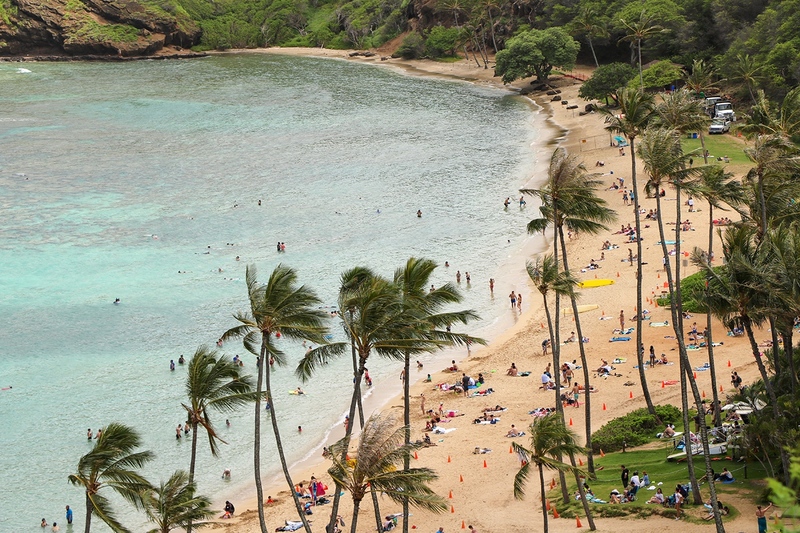 There are other tours that visit the valley, and a Beach Bus is best on the beach, after all. 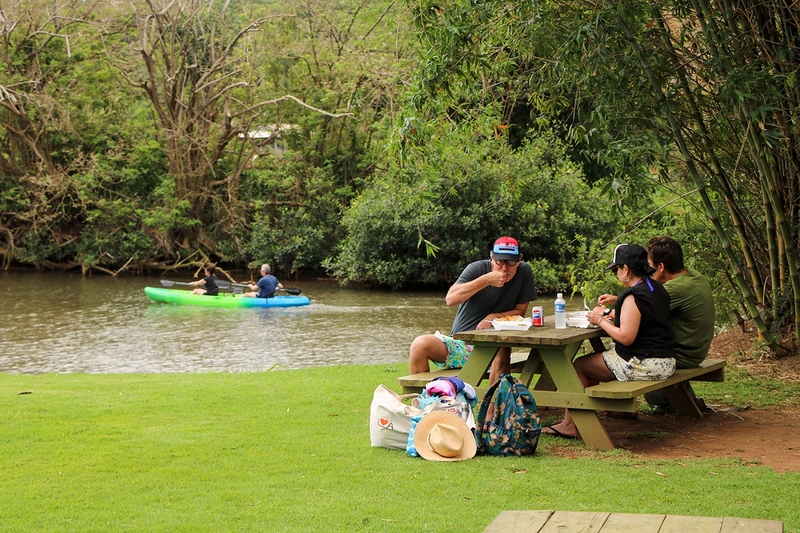 Having worked up an appetite during our beach adventures, our next stop was at Tsue’s Farm, right outside Haleiwa town. 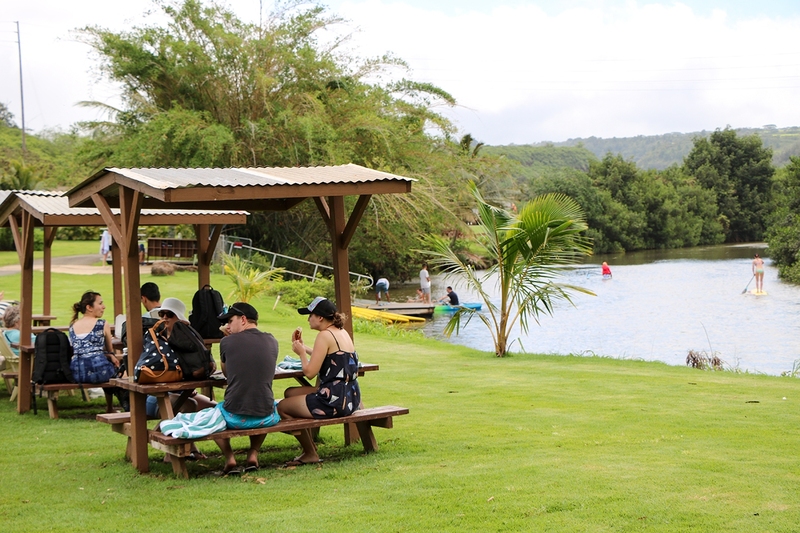 A working farm next to the Anahulu River, Tsue’s Farm also offers visitors a neat picnic area, a variety of lunch options, and different water sports in the nearby river. We had lunch at Tsue’s Farm, with Maira ordering a coconut shrimp plate and me getting a plate of kalua pig. There were a bunch of covered picnic tables in the area, with the river winding right next to where we ate. The food was good. For locals, the dishes aren’t unique to the farm, but it tasted great and is a definite treat for any visitor to Hawaii. After eating, we got our equipment. Lunch and activity preferences were taken on the van ride over, so all our gear was already set up for us by the time we got to the farm. Maira and I decided on a tandem kayak, but single kayaks and stand-up paddleboards were also available. For those of you intimidated by the idea of kayaking on a river, don’t worry: this was the furthest possible thing from whitewater kayaking. 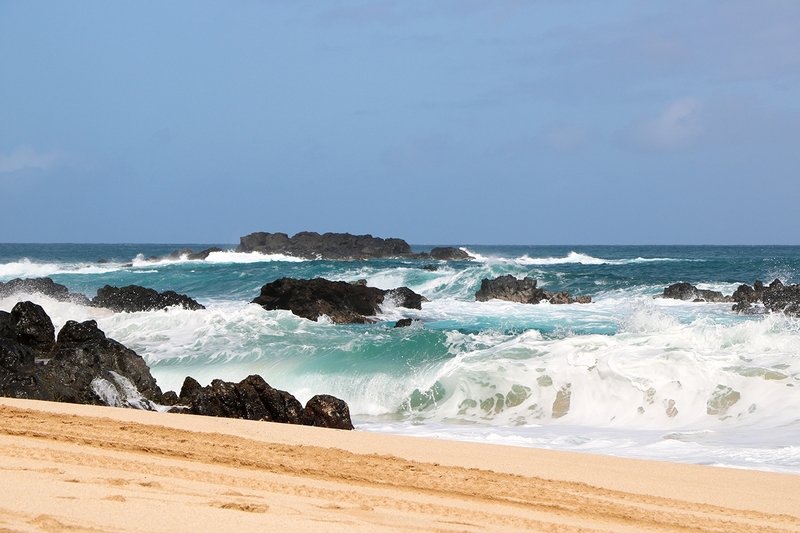 The craft are ocean kayaks, which are wider and much more stable than river kayaks, and the Anahulu River is remarkably still and close to the ocean. The biggest issue when kayaking was the heavy winds going downstream that day, which required effort to paddle against but made for a nice tailwind when going in its same direction. 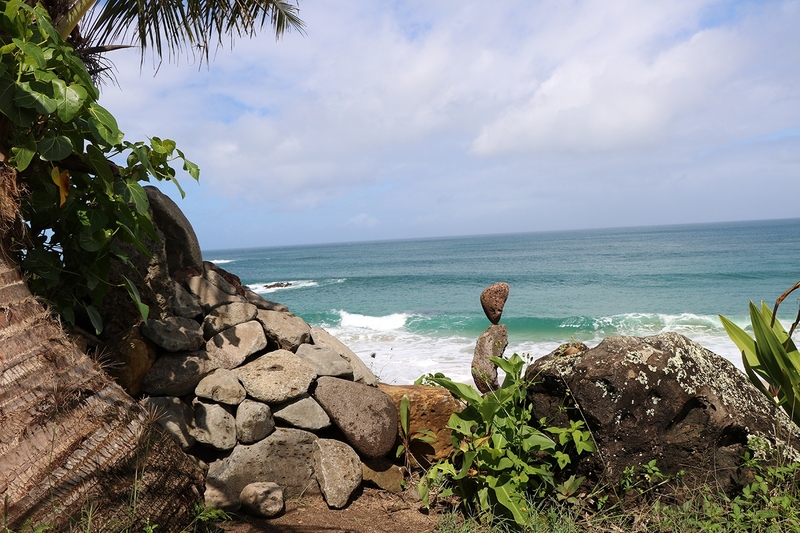 The other cool thing about the Anahulu River is that because of its close proximity to the ocean, green sea turtles can often be spotted in the water. During our kayak Maira and I actually spotted one, but just for a moment as it quickly took a breath and submerged again. 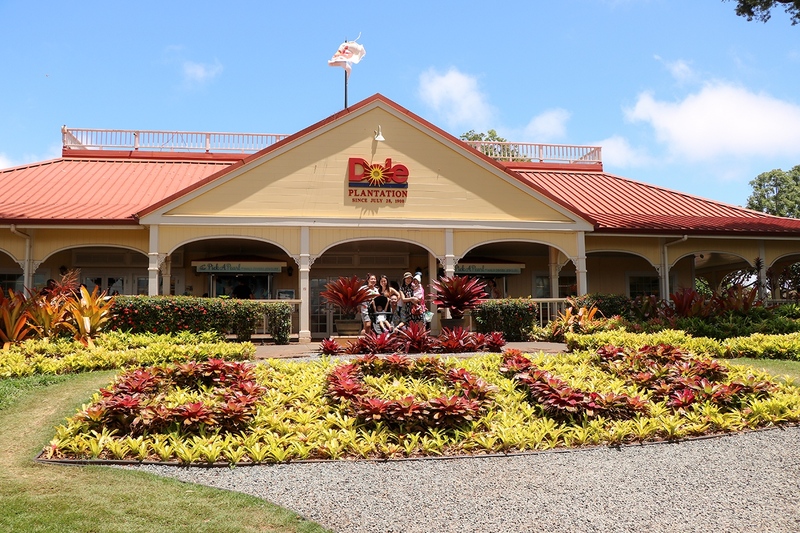 After we got out of the water, our next stop was a quick break at Dole Plantation. More of a stopover than an actual stop, we had enough time to check out the gift store, grab some Dole Whip (soft serve pineapple dessert), and catch our breaths before heading out. The plantation was by far the most tourist-y stop on this tour, as the other stops are things that anyone, visitor or local, enjoys doing in Hawaii. Personally, I didn’t care for the gift shop and was too full from lunch to get any Dole Whip. Nevertheless, I enjoyed having a short break from the water—swimming and paddling all morning has a way of tiring you out! Our last stop was at the famous Hanauma Bay! We had over two hours to swim around the bay and explore the coral reefs. Snorkeling gear was given to us before we got to the bay, including a mask, snorkel, and fins. 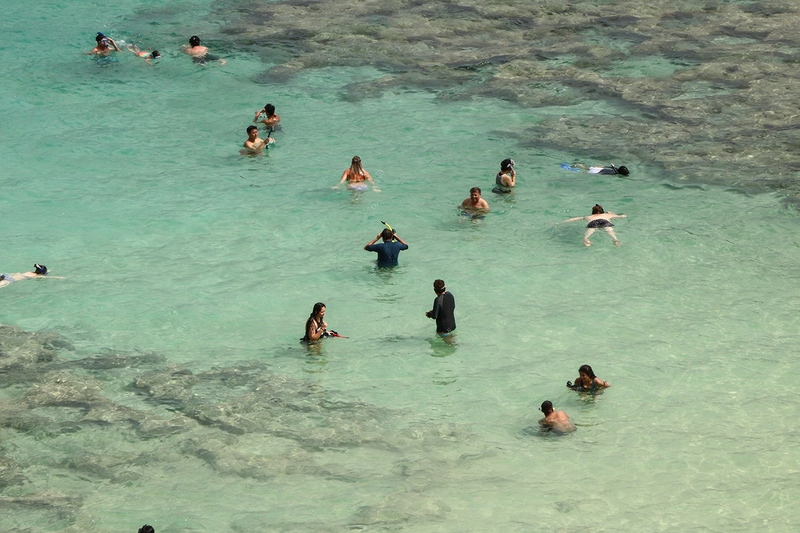 Due to regulations, individuals have to pay their own entry fee in Hanauma, which is $7.50 per person. 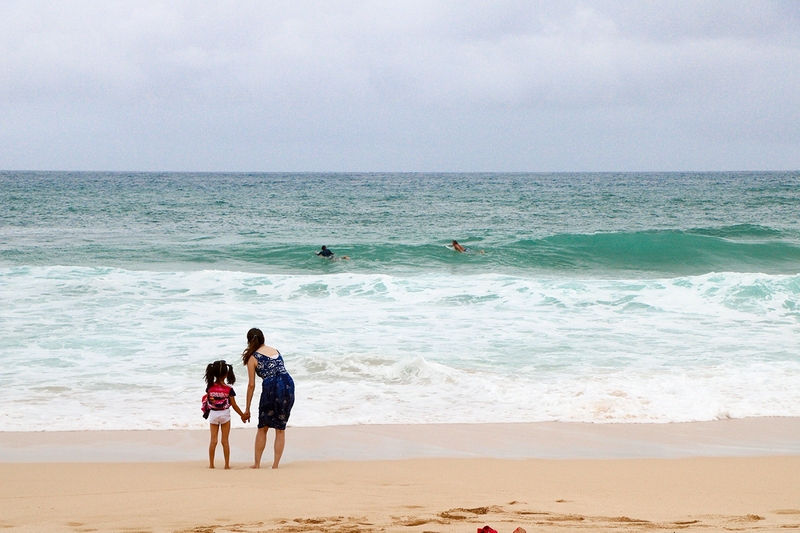 However, children under 13 and residents of Hawaii (like me!) don’t have to pay a fee as long as they present proof of age or residence, respectively, upon entry. 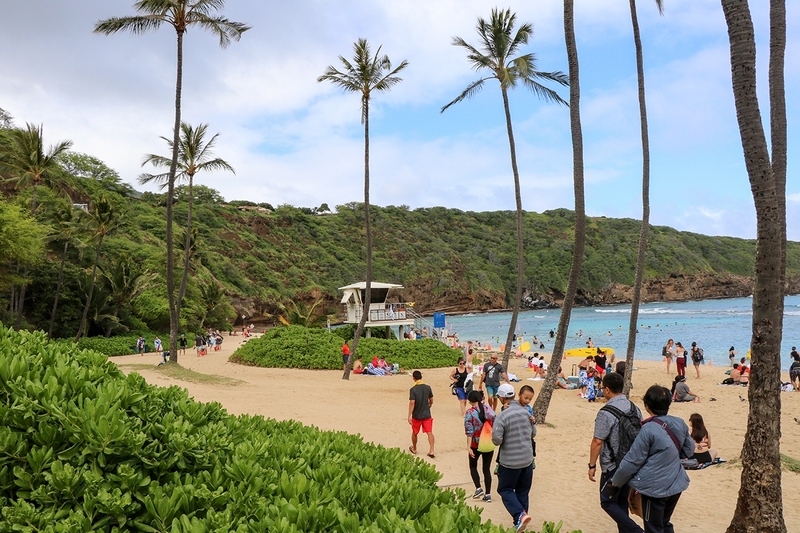 The last time I went snorkeling in Hanauma Bay was perhaps in 2006, and the area and facilities have changed remarkably since then. Generally, the state park is much more stringent on making sure people comply with regulations. First off, large tour buses aren’t allowed to bring guests snorkeling. 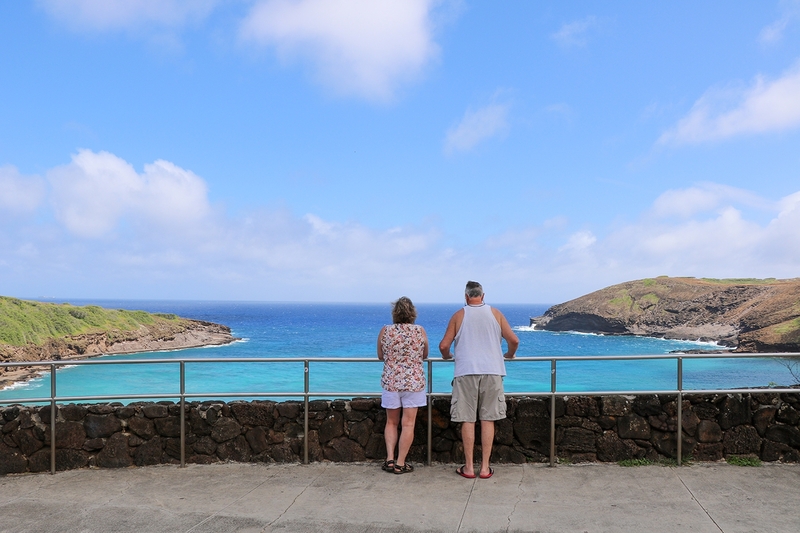 They can still drive down to the lookout for a spectacular view of the bay, but only smaller vehicles are able to bring snorkelers into the bay. Also, everyone who goes snorkeling is required to watch a safety/instructional video that teaches you about the area, its wildlife, and what not to do while in the water. The park is also closed every Tuesday to give the fish a little break! In addition, the area near the parking lot has been renovated to include a cafe, theater, education center, and gift shop. As someone who hasn’t snorkeled in the area since over a decade ago, I have to admit: Hanauma Bay is in much better shape than I remember. The water is clearer, there’s more fish around, and the coral doesn’t all look like dead rocks anymore. It’s pretty clear that the conservation efforts at Hanauma are doing real good for the environment, and that people who are educated on and encouraged to properly interact with the reef can make the area better for everyone. That’s my spiel for this blog post. I don’t want to seem heavy-handed, but my experience at Hanauma a decade apart was simply that striking that I needed to mention it. Sadly, we didn’t have an underwater camera so I couldn’t snap any pictures, but snorkeling in the bay was amazing! Beach snorkeling is easier to get into than snorkeling trips on boats, but Hanauma still has a lot of fish, some of which are fairly large for the reefs, and enough room to maneuver around. 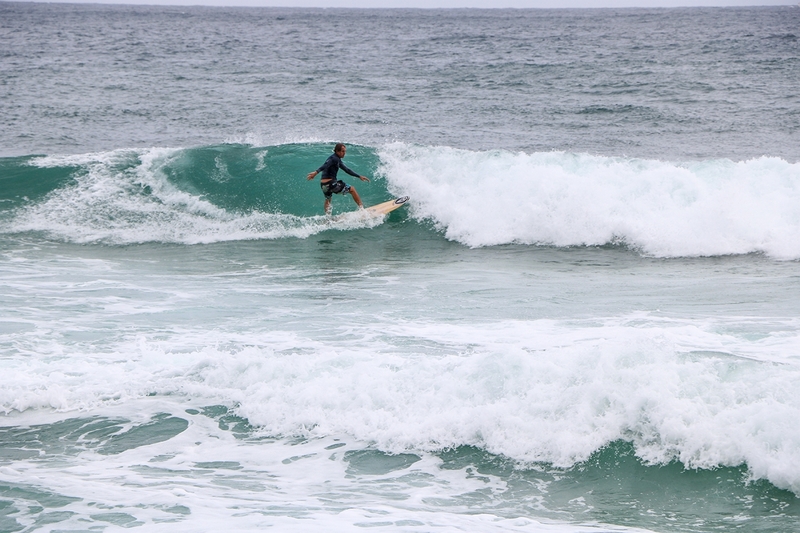 While some parts of the water were pretty crowded, it’s usually not so bad that you can’t move around. As something of a pro-tip we got from our guide, Doug, the far left side of the bay is full of fish and isn’t crowded at all. Fair warning, though: the water in this section is deeper and buoys are set up to warn of sudden currents. It was definitely worth it, though, and I recommend it to any confident swimmer. There was a lot more room to swim, and also much more fish around. The fish in Hanauma are totally unafraid of humans, so they will routinely swim nearby without the slightest attempt to avoid you. 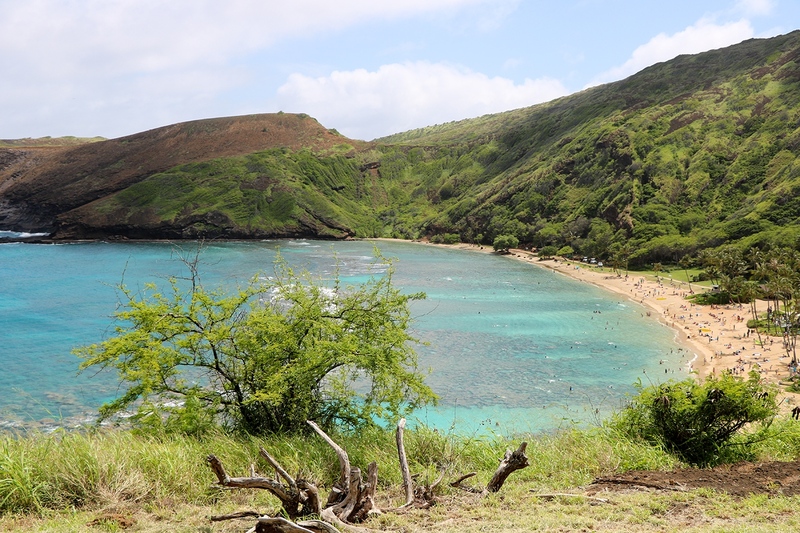 We spent about two hours at Hanauma Bay, snorkeling at various parts of the bay and taking breaks in between. I felt like we didn’t stay too long, as the area that’s safe to snorkel is quite large and we didn’t see half of it. By the time we were done, though, we were pretty tired from the day of swimming, kayaking, and snorkeling in the sun. 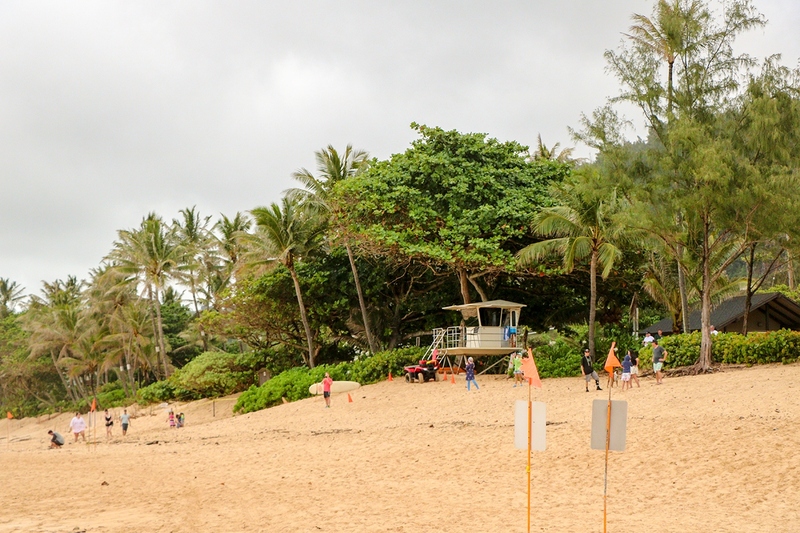 It was an amazing day with North Shore Beach Bus! Anyone can go on the tour, but I especially recommend it for people who enjoy being in the water and are willing to do things like kayak or snorkel. The standard package doesn’t include lunch and water sport at Tsue’s Farm, but you can pay for those on-location if you’d like. The premium package basically lets you pre-pay for those so you don’t have to worry about it during the tour. If you’re on Oahu and interested in taking the tour for yourself, check out more details and book on HawaiiActivities.com. I really enjoyed your pictures! Being a surfer, I want to go so bad.